Craving for a deliciously sweet cappuccino? Never have to leave the comforts of your own home when craving for delicious coffee ever again by trying our premium Cappuccino Powder. Simply mix this powder with some hot water and top with some heavy cream to add texture and flavor. With every sip of cappuccino made with our premium quality powder mixture, you are seemingly transported to a quaint French cafe in the streets of Paris. Like this item? 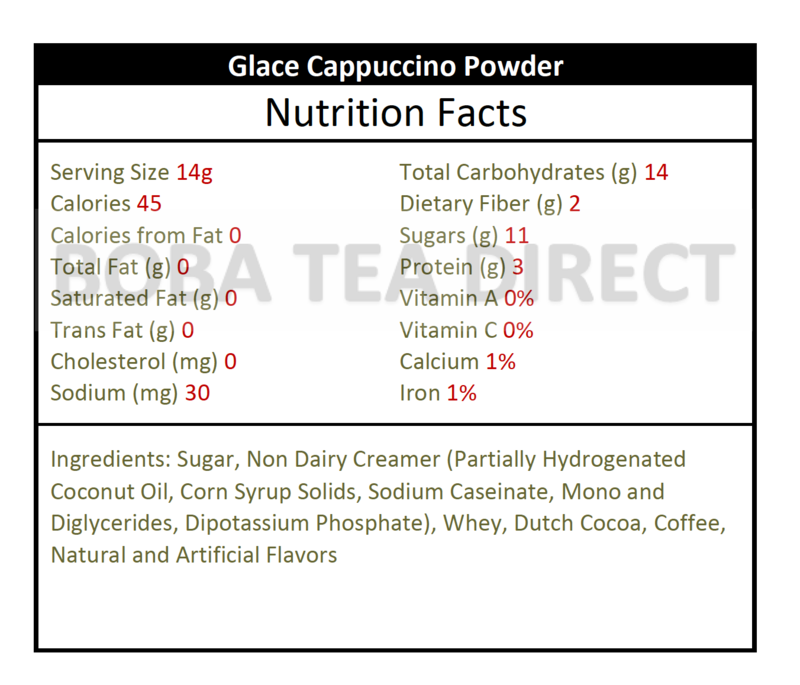 Try our Glace Cappuccino! I never thought this one would sell, but after trying it out, it has become a blockbuster.